SOUND IT OUT is a Glimmer Film, produced and directed by Jeanie Finlay. UK theatrical to 35 cinemas (en-counting) with live events and bands by Glimmer Films with producer of marketing and distribution Sally Hodgson. 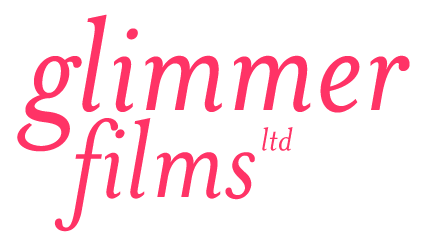 Design and production of all marketing and publicity materials by Glimmer Films. Boutique DVD with 7″ vinyl ep conceived and designed by Jeanie Finlay for Glimmer Films. Glimmer make intimate and personal documentary films and artworks made for the cinema, broadcast, exhibition and the web. Your film, SOUND IT OUT, was recommended to us and we would like to review it for possible inclusion in the 2011 Tallgrass Film Festival coming this October. Now in its ninth year, the Tallgrass Film Festival is dedicated to entertaining and enlightening audiences from America’s heartland by showcasing the very best in independent cinema. This year’s festival is October 20-23. We are eager to review your film so I will waive the submission fees. Please send us two DVD preview screeners (NTSC format, please) of your film. Our online submission form is at: http://www.withoutabox.com/login/4153. Wichita is a unique venue for showcasing independent film. Not only is it in the center of the country, offering the Mid-western demographic, but many of the best independent films, even with distribution, never make it here. Tallgrass provides this opportunity for filmmakers. The deadline for entries is in July, but we are looking to lock our program early and would appreciate your response at your earliest convenience. Well I never, 12 months ago sound it out was shown and invited to a festival. Now I watch it twice in a row, because I can, because it was on freeview, which I did not even have then. Our local store is still going, a friend wants to get rid of his eclectic counter cultural collection but the local store only pays a pittance for goods in, while Led Zep2 (my favorite album cover) is £10 in the pimped up charity shop, with his collection that would be 4k!, meanwhile he is getting into crooners of all things, how the world does turn? We are going to see Chantalle McGregor at the Robin2, in Bilston in the Midlands UK December 12th 2012, if anywhere needed a record store its the Robin, see you there!